 The SPAL team has an international presence with subsidiaries and offices worldwide. The location of subsidiaries are carefully co-ordinated to optimize the distribution and marketing of SPAL products with customer service and distribution centers based close to key customers. As manufacturers and the market are demanding products to perform increasingly complex tasks and requesting highly integrated systems, SPAL is prepared to invest in the future and rise to the challenge. SPAL is open to accessing new markets such as exhaust technology and vehicle-heating systems with plans to pursue these opportunities energetically in mature markets such as Europe and United States as well as in emerging regions such as China, India and Russia. Avenue Sofiyskaya 66, liter A. Constantly focused on excellence, through quality, innovation and service. These are the cornerstones on which, over the years, SPAL has built up its credibility, presenting itself as the ideal partner for designing, producing and marketing engine compartment and interior cooling solutions for all types of transport vehicles.